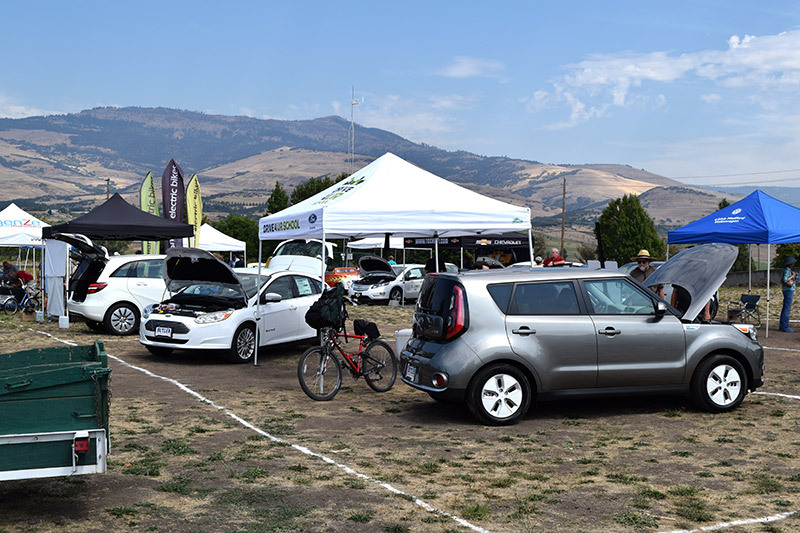 We attended the second-annual Southern Oregon Hybrid and Electric Vehicle Show on September 12th, and boy, are our batteries charged! The event, which was organized by the Ashland Lions Club and hosted by ScienceWorks, drew a crowd despite the heat. 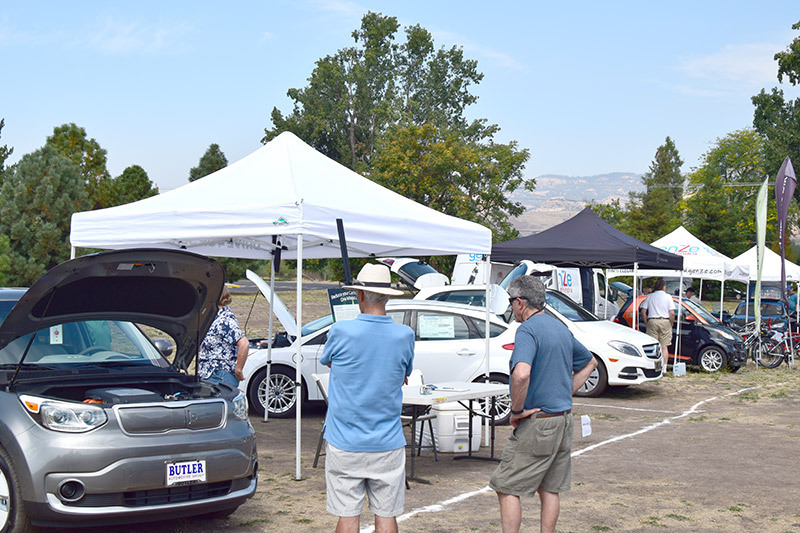 Local dealerships gave their electric and hybrid vehicles a day in the sun, and a variety of other local businesses showed off their efforts to reduce the carbon footprint created by conventional vehicles. While we had a great time talking with people about the vehicles we brought with us, a Ford Focus Electric and a Kia Soul EV, the real joy of this event came in meeting exceptional, passionate individuals who are part of what makes our community so great. We got to meet Michelle Brandao, the founder and chief-executive of Ashland-based Rogue Rovers. Michelle’s all-electric rovers are designed to aide small and specialty farmers, and can be operated with or without guidance from a human driver using a cloud-based platform. Michelle brought her rover to the show, despite having recently returned from a visit to the White House, where she and her work were honored by President Barack Obama at the first ever White House Demo Day, honoring startup founders with big ideas. 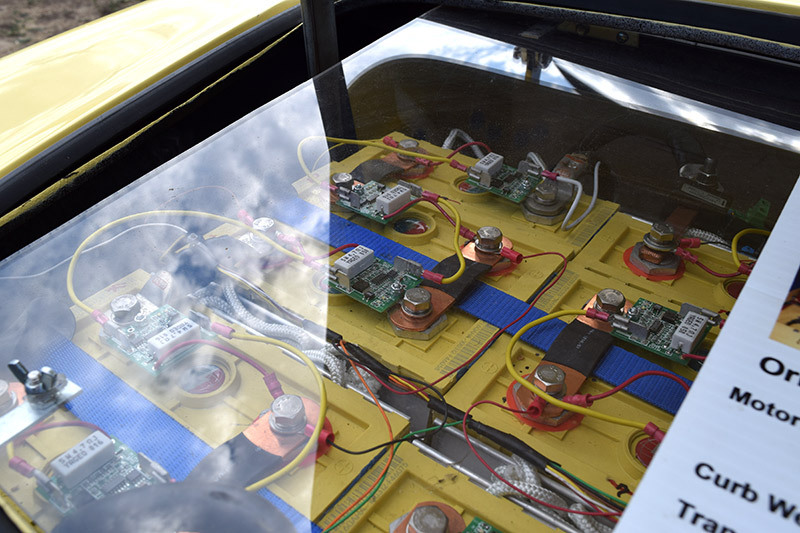 We also met Pete Jorgensen, who is a member of the Ashland Lions Club and the business advisor to SOHEVA, the Southern Oregon Hybrid and Electric Vehicle Association. Pete’s Nash Metropolitan runs a little differently when it rolled off the lot in 1958, which is unsurprising, as it now runs entirely on electricity! The Metropolitan has a range of 55 miles, putting some contemporary electric vehicles to shame, to say nothing of its classic appearance. We saw electric bikes, autonomous rovers, retrofitted cars, and even concept sketches for a hybrid three-wheeled car! Although the show is only in its second year, we were thrilled to part of the future of electric vehicles and are excited to embrace this new technology. We have a feeling local businesses, drivers, and technology enthusiasts will make this event a success for years to come! ← Previous Post Oregon License Plates – Take Your Pick!